Deb's Cup of Tea: It's Mine Now. A four day weekend is a good time to get caught up on the wash you may put aside during the week because you need underwear or pants. I did a load of bedding and towels. 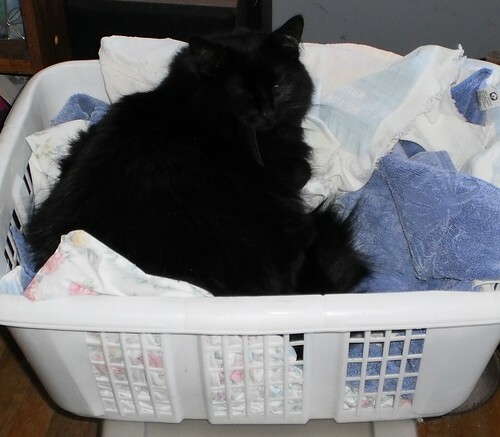 I didn't get it folded and put away immediately and Pilchard found the basket. At this point, if the item doesn't have black fur on it, I haven't used it in over a year.